Outside of DJ Complete's work for the Bobcats and solo DJing gigs, his ability to join forces with Styles and take the dubstep world by storm in short order has been impressive. While conquering the college crowd has been good, we can't wait to see where Styles & Complete's experimentation with trap music takes them next. 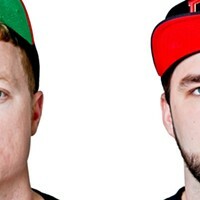 Alex "A-Styles" Steins and Austin "DJ Complete" Hains create "Dirty South electro swag"